Extra Space – HUGE CLOSET! There are areas in your home, most likely that have some wasted space. many times you aren’t even given the opportunity to use those spaces. The most widely wasted space inside a home is under a set of stairs. 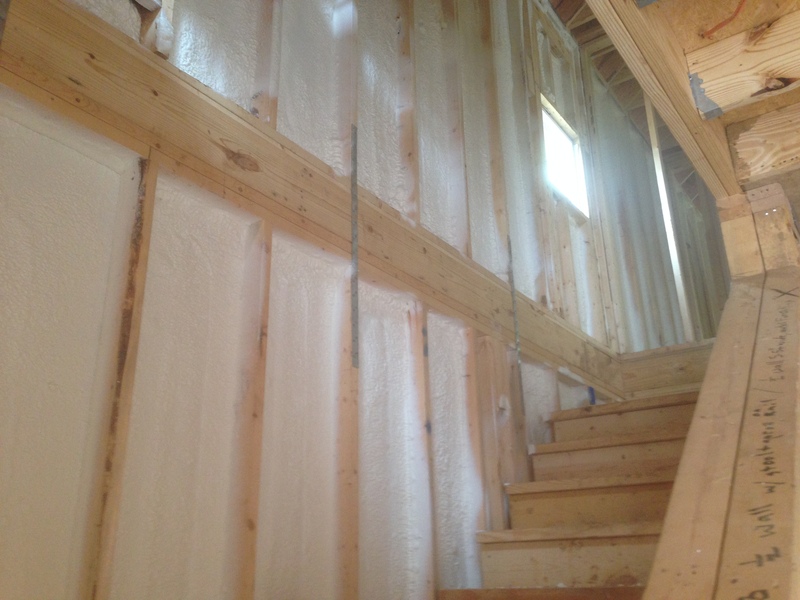 The builder/designer may add a closet, it may have a bit of sloped ceiling, but they usually block off all that other space under the stairs. That space is incredibly useful. My kids and I spent many a night under the stairs in our old home after returning from Salt Lake City to a Tornado Zone in Memphis. The sirens would go off and we’d climb under the stairs. Part of it was opened, yet unfinished, so the kids would crawl into the “short” area with their sleeping bags, blankies, and stuffed animals. The dogs and I would sit on the carpeted area of what was our pantry. This was a fabulous use of our “under” stairs wasted footage. Another great space is ABOVE the stairs in a 2-story home. (See the picture below.) The Investment Home I’m currently building had a bunch of very useful area above the staircase which was at the back of a small closet. SO, I simply had the builder omit the back wall of the closet and build several shelves over the stairs to flatten out the usable area. 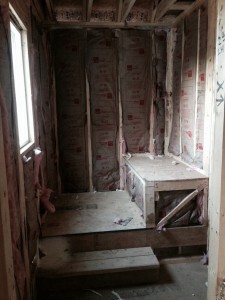 NOW what was going to be about a 4′ wide x 3′ deep closet is still 4′ wide, but about 6′-6″ or more deep! This is a KID’s room!!! Just think of all the things the family living here could do with this closet! A little girl might make it a doll house. 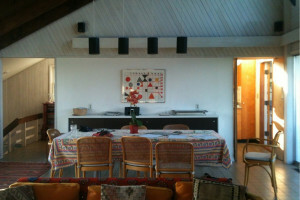 (There is a window up high on the left wall). Mom could do double rods in this closet and put those “don’t fit yet” clothes up high, and shelving down low for all those toys. One of the Kid’s closets above the stairs. I maintain, I’d rather have a huge closet and a tiny bedroom so that all my “stuff” has a home out of the sight of guests. In a kid’s room, I’d love to have a small walk-in closet if at all possible. Let’s pretend for a moment we have a 6′ wide by 4′ deep closet. 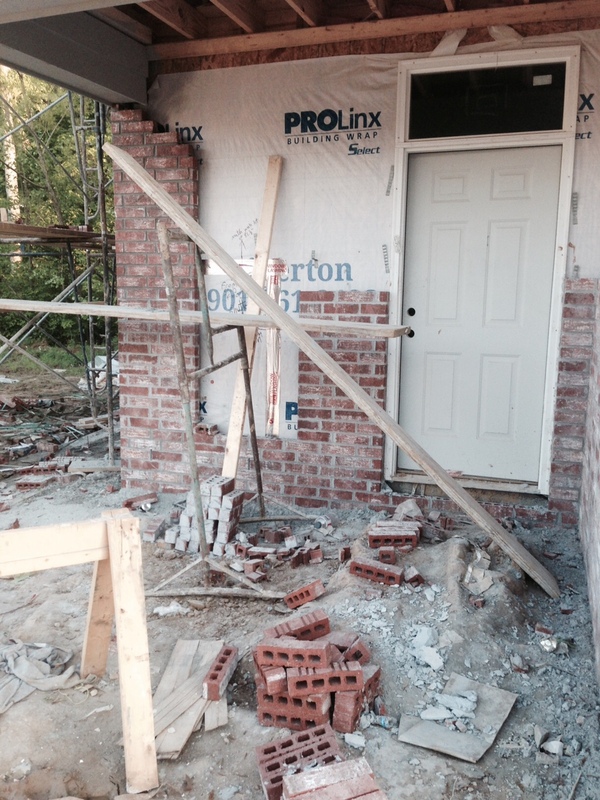 The door would be on the 6′ wall. On one side, I would do double rods (or triple rods depending on the age/size of the child) so that all their clothes could hang nicely. Clothes that fit, lowest, especially if the child is old enough to pick out their own clothes. In the upper would be the “still too big” clothes to be used next summer and the “too small” clothes, saving up for a good garage sale. On the opposite wall I’d have shelves floor to ceiling. The shoes would have a home and the toys would too. On the upper shelves would be the things I need in the child’s room, but I don’t necessarily want the child getting into. Keepsakes, breakables, toys that have been confiscated because the child refuses to take turns, etc. If there is a PLACE to put everything, the room CAN be cleaned. If there isn’t a closet big enough to hold all the toys, the floor of the bedroom will be forever cluttered, or the under-side of the bed will be nonexistent! 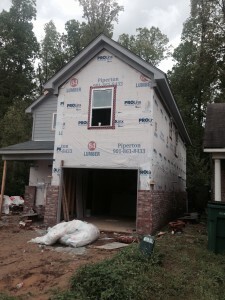 Funky Remodels – to do or not to do? I’m about to get controversial here, but since I own this blog, I can say what I want. I reserve the right to be wrong, but I believe I am voicing my own OPINION as well as a few facts. After kitchen without wall, with new cabinets. 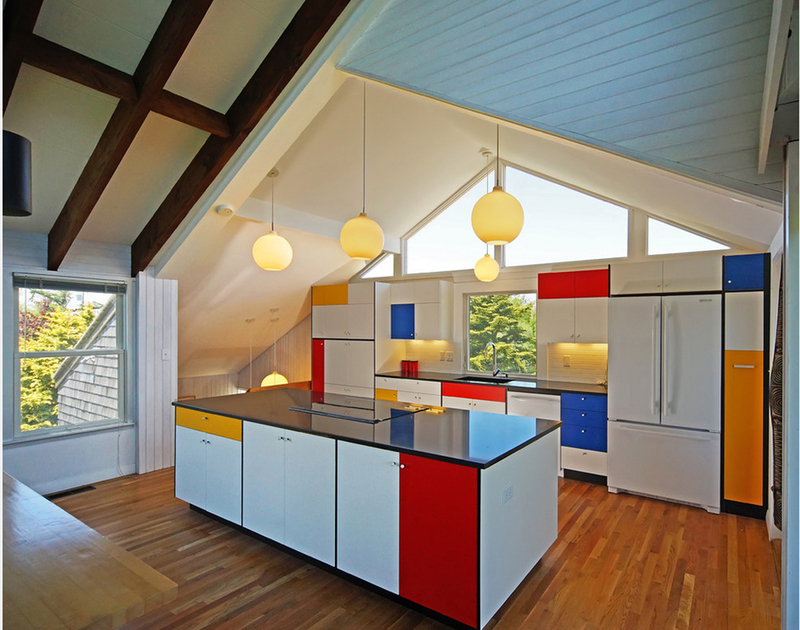 I have to agree, this IS an incredible Mondrian Inspired Kitchen. That’s not what my original comment was about, however. My original thought was, I’m an adult and I wouldn’t want my kitchen to look like a preschool classroom. BUT, you’ll notice I didn’t say that out loud on my post. Nope. Why? I don’t get it. This is not a nursery where you need to entertain your newborn with bright colors. This is a kitchen, a home. In my opinion, this is not a ‘style’, this is weird. Frank Lloyd Wright (FLW) ala Picasso. You WILL get tired of this color scheme and to resell your home, you will only appeal to a very small percentage of buyers. I know you should live in the home YOU like and not worry with future potential buyers, but I doubt that even YOU will like this for many years before you think it is tired and needs updating. I love the open concept you’ve created, but I am not a fan of the patchwork random colors. For all you ART buffs out there. Yes, I do know the difference between Frank Lloyd Wright, Picasso AND Mondrian. They all had value in their own right. I know many people who collect art pieces which remind them of their favorite artists, but I have never seen it taken to this extent before. Yes, I’ve seen FLW knock-off houses, I call them FLW-esque homes. It is one thing to build something that is LIKE what FLW would have designed, however, times have changed and what HE designed into a home back in the day would need to be different now…. 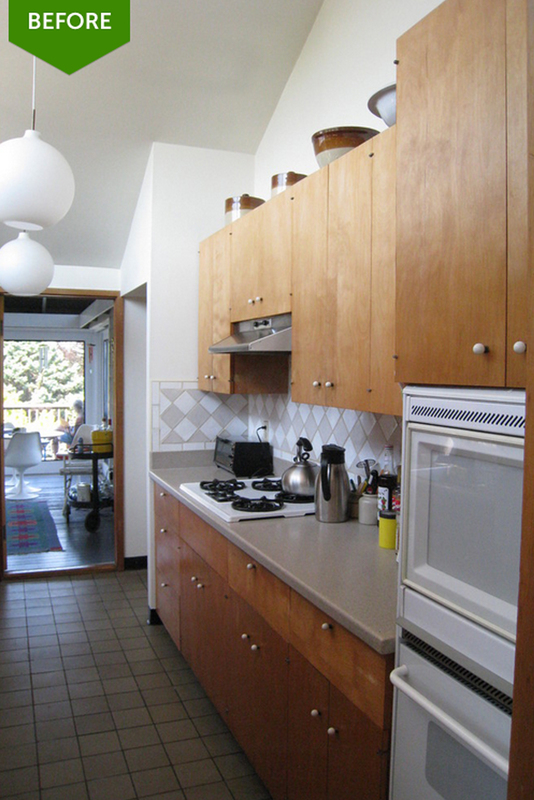 think pre-1959 bathrooms & kitchens. Exactly, build a modern home to LOOK like FLW, but function as a modern home. We have to imagine what our sunken jet-tub would look like in his mind, don’t we? After making my original post, I received many “likes”, which was nice, but then. WOW, the claws came out! Some people said that “the Professional Designers” on this site probably just don’t know anything about Art History. (What has THAT got to do with anything.) For this reason I didn’t major in MUSIC in college. I never cared who wrote what, nor when! I just wanted to play music. With Art, I never memorized who drew/painted what, nor when, I just know what I like and what I don’t like. And, I am NOT a modern painter lover! I like clever and original, but not just paint thrown on a canvas. (I know, gasp!) To be truthful, I don’t know a LOT about Mondrian but I am familiar with his designs/art pieces AND, at one time I was really fond of them, just like FLW’s designs. Every art class in the country does a piece in his style just for the Art History knowledge. I remember drawing random straight lines on a page and painting them in bold primary colors. I personally thought it was an “ok” piece of art, but I wasn’t really proud of it. Consequently, you won’t find it stored in my attic. Just because I appreciate a piece of art, does not mean I’d redo my entire kitchen to honor that art. I thought about posting a rebuttal, but thought better of it. If I was going to drag my name through the mud and let 10,000 of Houzz readers attack, me, why not be on MY ground where I can DENY comments if I like. SO, here goes my rebuttal. I never said that this was not artistic, and I never said the designer of this space was a lunatic. I never said that this was not Mondrian-esque. I like Mondrian, but I would never make my kitchen a gigantic Mondrian piece of art. I never said this was ugly and I never said that the owner should not have done this. The “NOPE” comment meant it was NOT for me. Even if I were simply in love with Mondrian’s inspiration, I would not make my cabinets the piece of art, I’d decorate or paint a wall, find some wallpaper, use tile on a table to convey my love of Mondrian, or make those HUGE new windows the work of art. I just know me! I know I would tire of it at some point. 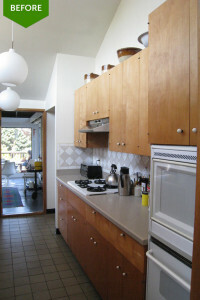 If it were wallpaper or a painted wall, or a stained glass window I could simply undo those things, change wallpaper or repaint, when I tired of the design, but this kitchen won’t be as easily undone at a later date. As a professional Home Designer, I am asked to design many things that I don’t appreciate and often totally dislike, but I draw them anyway because that is what my client wants. After all, I don’t have to live there, so what do I care if I think it is ugly or illogical? On the other hand, I do have a conscience. 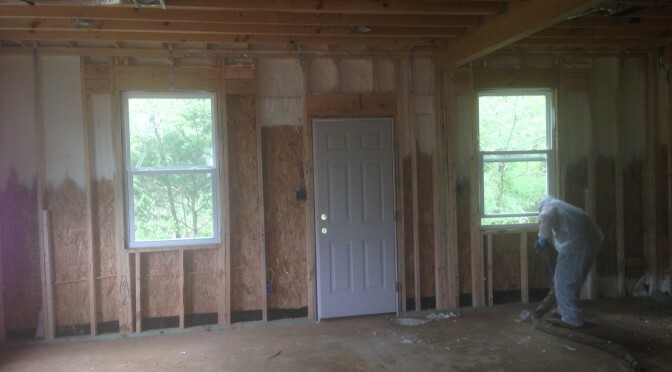 I would hate for my clients to one day say to me, “I wish you had told me that this wasn’t a good idea.” I wish you would have mentioned that it would be really expensive to build a house like that, or whatever. I’d hate my clients to think less of me because I didn’t warn them of a potential pitfall with the design of their home because THAT is part of my job as a Professional Designer. I understand clients have in their heads what they want, but seldom know how to count the cost of that decision. IF these homeowners knew that it would be difficult to sell their home in 3 years they might think otherwise about building it they way they have decided. Many never plan to sell the place (let the kids handle that after we’re gone). Ok, fine. I get it, they’ve wanted something bold for a long time now and they finally had the money and the guts to do it. Good for them! GOOD LUCK if “life” happens and you are forced to sell it for whatever reason. Good luck getting your money back out of it if, heaven forbid, someone dies and you have to sell at a huge loss and end up bringing money to closing with you because you made a huge bold statement. More about the kitchen pictures above: I love the fact that they opened up the wall between the living area and the kitchen, This is the wave of the future, just watch a bit of HGTV on any given day, but some folks are still old-school and prefer the kitchen to remain closed off. I’m not offended at the old-school lights and cabinet knobs, this is quite the retro look. (Some of the other comments really knocked the cabinet hardware and lighting fixtures). I actually thought the overall design was brilliant, though I didn’t say that. I really only dislike the color scheme with the primary colors because it reminded me of a preschool and not a kitchen belonging to adults. Just like clothing, houses have a style and that style often goes OUT of style. Then to sell the house, the owner must pay a lot of money to change to yet a new style (or reduce the sales price so that the new owner can fix what they feel is wrong). If the owner has that kind of money, I say go for it. Enjoy it for as long as you can. Do what you love and pay the consequences later. However, it’s not as simple as painting the cabinet doors back to white again. The cabinets appear to have been professionally painted (spray painted, no brush marks) and appear to have an epoxy finish. So to repaint would be more difficult than jumping into some old clothes, your husband’s shirt and slapping on a new layer of paint over a long weekend. Someone said this kitchen reminded them of legos, yes it does. It also reminds me of a preschool classroom with brightly colored bins for toys and equipment. There is nothing wrong with this kitchen, I just asked why and warned that it would be hard to resell later, which is a fact not an opinion. Since it’s a vacation-beach home on Martha’s Vineyard, no less, they won’t be looking at this all day every day, so to say they will tire quickly of the design may take longer than if it were your full-time kitchen. All houses have to be sold at some point. People get transferred, people DIE! Maybe by that time it will be in need of new cabinets yet again. OR, maybe a huge Mondrian fan will buy it, who knows. I just know that this will appeal to only a select segment of the house buying population. I did not mean to offend anyone’s design, (from an overall design standpoint, this is brilliant in theory), nor did I intend to belittle Mondrian’s artistic styling. I think it was a bold choice to do this. But, I think the owners will eventually tire of this and want to do something else later. That’s all. All things are possible, but not all things are profitable. If you have the luxury of doing things that are not profitable, go for it! If you have the money to do this just because you’ve always wanted it, go for it! I’ve always found my money too hard to come by to be frivolous with it. 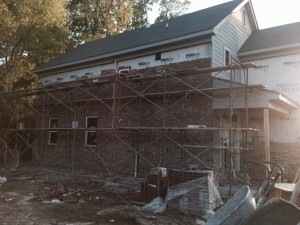 I was recently hired to design a new contemporary home to be built in rural Mississippi. 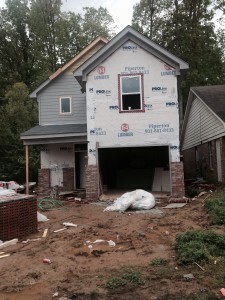 The Tri-State area (TN, MS, & AR) are not really states accustomed to “Contemporary” houses. We went through a contemporary phase back in the 80’s, but it passed, and EVERY real estate agent for miles will admit that those are HARD to sell. It is simply hard to get people to go inside the ugly. IF you do get them inside, the volume of these homes is beyond belief, but they, too, wonder if they’ll ever be able to sell it later when the time comes, so therefore, they are hard to sell. This couple had been looking online for contemporary designs and had printed out thousands of pictures from Pinterest, Houzz and other websites; pictures of all those things they wanted in their home. They had decided they wanted all three children’s bedrooms to be a 10′ x 10′ box, all encompassing, all equal size. Inside that square the outside wall would have a built-in twin bed with a big window above and the closet (a 36″ x 36″ square at the foot of the bed). The opposite wall would be filled with other built-in desks and shelves. The floor area (for playing with Legos and GI Joes and all would be about 5′-9″ x 10′-0″. The kids, who were still in preschool and early grade school would be asked to live in those rooms until they were at least college age if not beyond. 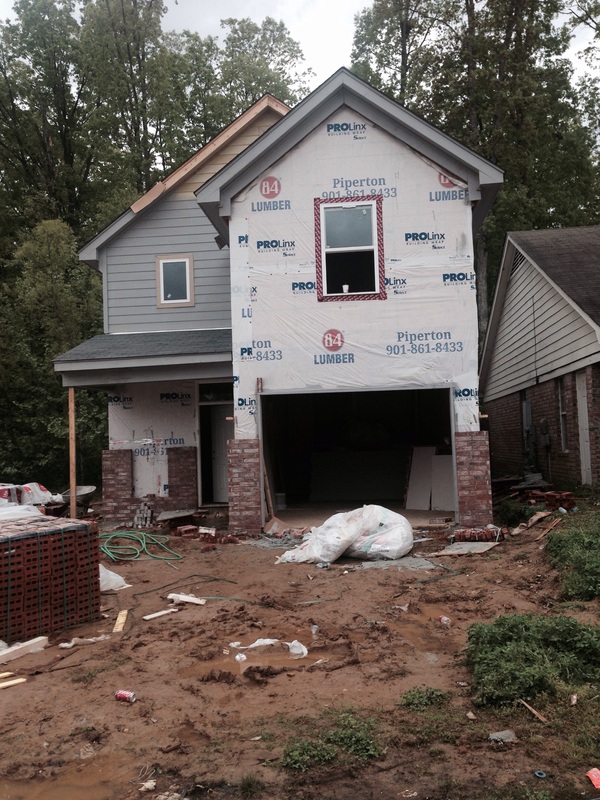 This contemporary (odd to North MS) home would be located on family property, not parcelled up so it could be sold individually. This couple was planning on “Life” not happening (circumstances beyond their control) so they were relying on their work situation being constant until they died. You and I both know that can happen, but often doesn’t work out. People die before expected. Companies outsource, and you lose your job. No job is 100% guaranteed. Husbands sometimes run away. Even if tragedy doesn’t strike, other things come up. I asked the couple, “What if your kids grow up, get married and come home for the holidays to spend the night?” Would the newlywed couple be asked to sleep in separate rooms in these built-in twin beds? This wouldn’t work for me at all! I’d want to sleep in an adult bed and in the same room as my new husband, but because the parents designed this house with their kids’ current ages in mind, and not thinking of the future (kids do actually grow up and require a little more room) I thought it would be a mistake to limit the rooms to only a twin bed. To undo all of that later would be expensive and a bigger bed simply wouldn’t fit. Luckily these parents responded to my advice, they allowed me to make the bedrooms a little larger and move the closets outside of the footprint of the bedroom. Now the rooms are a minimum of 10′ x 12′ and the closets are outside that limit so that they have room for at least a queen size bed with night stands for their future adult/married children. They didn’t take ALL my advise. They live in the country. They are surrounded by traditional country homes with big wide porches. Their home will overlook a gorgeous lake, but does their Master Bedroom face the lake? No. Did they make a big Salon Bath with a big tub or shower that overlooks the lake? Nope. Do I think they made a mistake? Yep. Do I care? Well obviously I do! It bugs me to this day that their house will be, in MY opinion, ugly and that they didn’t take advantage of the beautiful lake set before them where they could have had EVERY room face the lake! 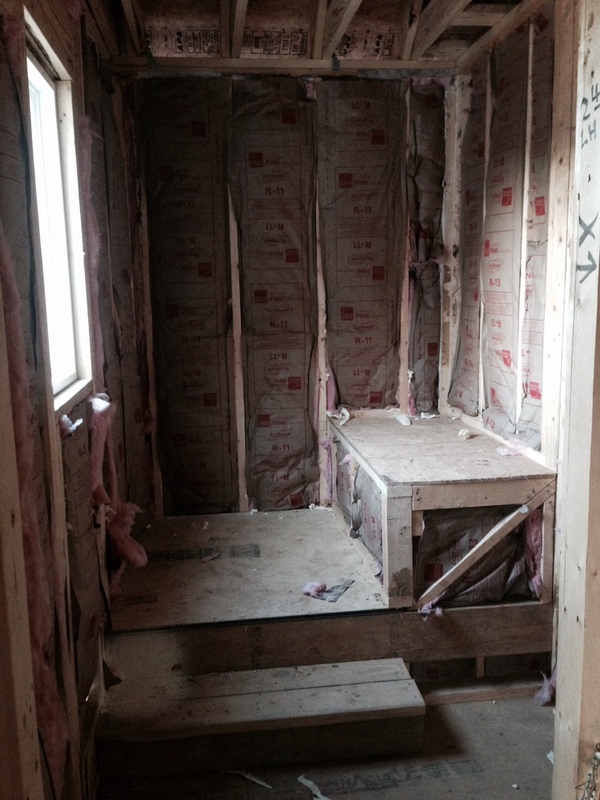 The kids’ bedrooms have a big 6′ wide window facing the lake. The Great Room/Kitchen all have giant windows that face the lake. Guest room and Master bedroom have a window to the lake, but the beds will be sideways, so you couldn’t wake up in the morning and see the geese landing on the beautiful lake. 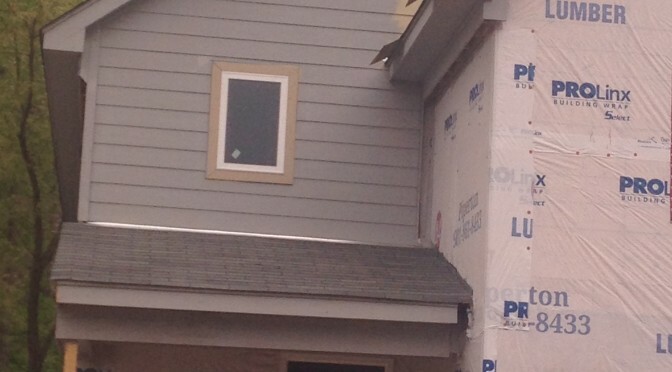 There is not ONE window (that can be looked out of, on the “front” of their house. 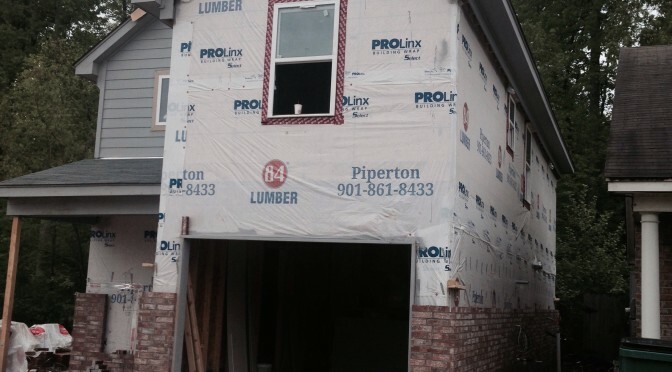 There are French doors (all glass) for the front door and there are some high windows up above the 9′ level to let light in (and to bake you in the summer if you don’t get the good ones) but otherwise, no windows on the front of the house. Oh, and VERTICAL siding, yes, you heard me right vertical! 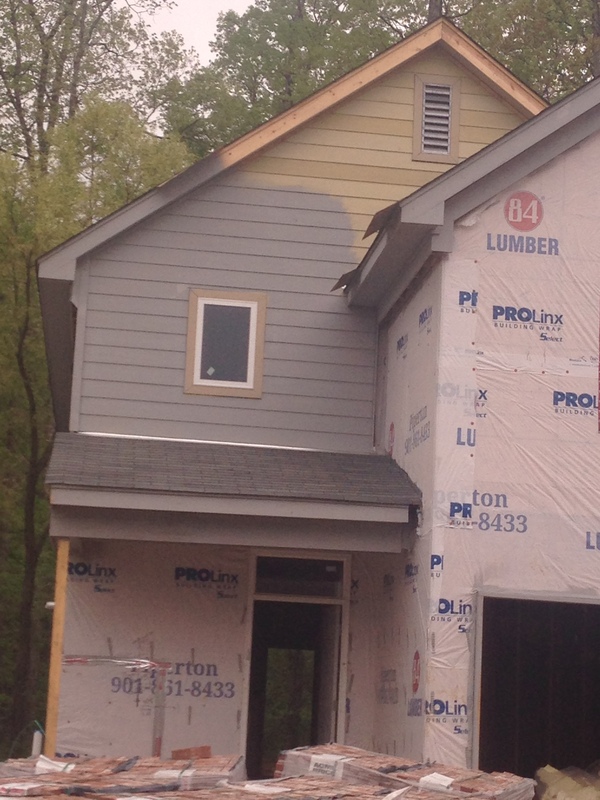 WOW, they should have gone all the way and put diagonal siding, right? Yes, I think they made a mistake by building a contemporary house in the country. NO it will not be cheaper to build than a traditional country house. YES, it will be weird for all their guests who live there, because contemporary “Ain’t Normal in these ‘hure parts!” YES it will be impossible to sell should LIFE happen because it is on a family parcell and a lot of subdividing will have to be done to sell it as an independent home should that come up. PLUS, it AIN’T NORMAL, so the country folks who live around them will probably not be very interested. It will probably require an out-of-towner to buy it, or someone from So. Cal. who wants it for a hunting lodge… but I digress. It will be a lovely home on the inside. It will look like something out of DWELL magazine, or Architectural Digest, but it will be very difficult to sell. SO, I hope and pray that LIFE doesn’t happen to these folks an that they never have to move away. I hope that they both stay perfectly content with life forever and that their kids want to stay there, and their kids, and their kids….. kids….. etc. No porch to view the lake. No Garage – only a carport. No window in the playroom/media room which is in the basement with the kids’ bedrooms. Master Bath is just “ok”. Nothing Master-ish about it. Laundry is on the lower level, so it’s convenient to the kids, but not the parents. Kids grow up and move away! Remember this! Could this family remodel later? Sure, if they have the money. Could they move out walls to make the kids’ rooms bigger later? Possibly. But, why not plan for the future today? Why not plan for the future now? Can I turn a 2 bedroom, 1 bath, 800 sq. ft. New York City condo into a 4-bedroom, 2 bath condo? Possibly, but those rooms and bathrooms are going to be really small and there will be no room for a dining room or kitchen much less a living room. There may be some random posts (structural supports for the hi-rise condos) in the center of your bed, but you can sleep on either side of those… theoretically, they won’t get in the way… much. So, Yes, the design was bold and well done. BUT, I couldn’t possibly commit to that much “style”. I suppose I’m just not gutsy enough! Imagine this room is 10′ wide (the bed/closet area). The stairs aren’t there, neither is the bunk. There is a window where the bunk bed is. The wall of book shelves/desk is directly across from the bed. Q. Is this really, really cute and would you like to do this in your home? A. ABSOLUTELY!!!! I LOVE IT! Q: Do you like this decor? A. Sure, it’s happy, fun, great, my kid helped me pick out the colors and wallpaper. Q. How old is your child? Q. How long to you expect him/her to love these color choices? A. Ummmmmm, hopefully forever, that was hard to do and expensive…. etc. Q. How many times have you made up a bed that is attached to 3 walls? Your child will outgrow those colors and wallpaper choices. Making up this bed is a nightmare at best. To undo built-ins messes up a LOT of stuff. You’ll probably need new flooring if it was done around the built-ins. 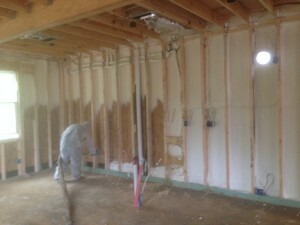 You’ll need sheetrock repair, mud, paint, wallpaper removal, etc. This is when your adult self says YES to the funky wallpaper on one wall and the funky color on the others and YES to the very cool and age appropriate bedspread and curtains, but NO to the built-ins. Walls can easily be painted and de-papered, but to undo thousands of dollars worth of built-ins is disheartening at best. Take my advice, enjoy from afar, pin on pinterest or Houzz, but admire, don’t do. 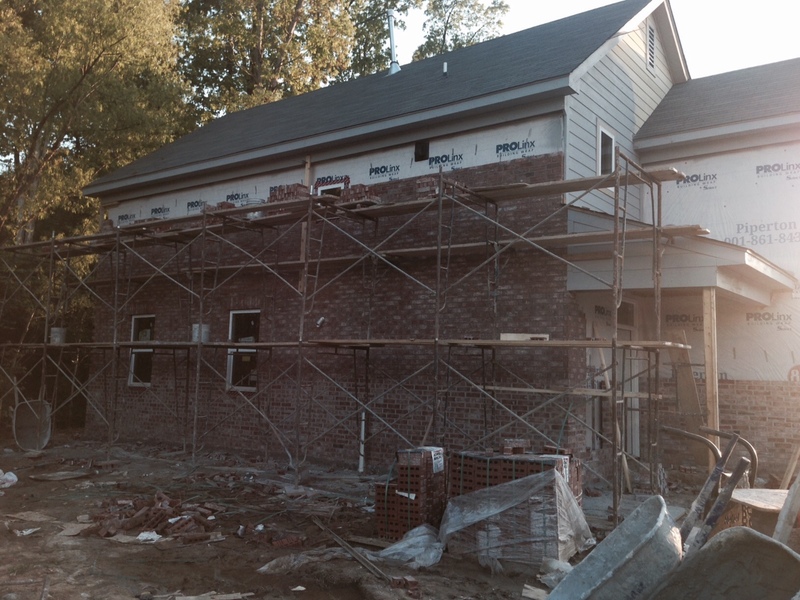 Getting brick on the new house! Because of the rain, the brick has been waiting for about a week. More rain tonight. The ground is so muddy they can’t set up the scaffolding. Ahhhhh! Rain!!!!! Note to self, start next house during the summer! !